Death punishment or capital punishment is a legal process of a person to put to die for a crime he had committed. Death punishment has been used since very long time ago, and is derived as well as by law made by human or law of religions. There are lots of controversy, Amnesty International, abolitionists (end-slavery movements), and organisations of human rights believe that death punishment is the worst violation of human rights and tortures people psychologically. Besides, there are a lot of people who were wrongfully executed, which means they get executed for crimes they did not commit because of premature decisions and leads to miscarriage of justice, and the persons who were innocently executed later get posthumous pardon. There are several methods to execute people, for instance, shoot by firing squads and electric chairs which are still used. 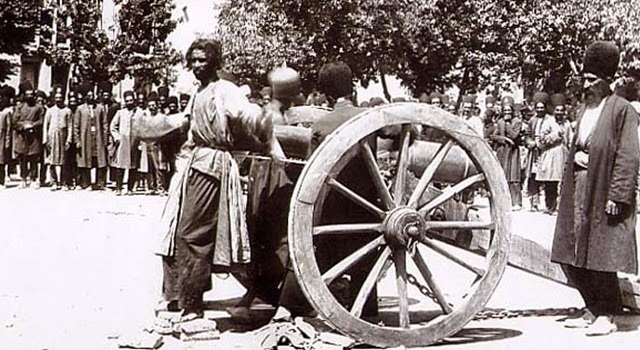 Blowing from a cannon, which now is no longer used, is a method where the person is tied with the back resting to the tip of the cannon, then the cannon is fired. This method was introduced by Mughal Empire in 16th century, and last time was used by Afghanistan in around 1930. 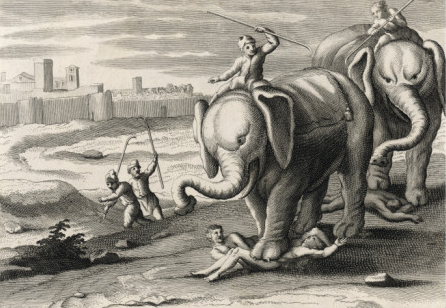 Crushing by weight may be vary, the most inhumane is crushing by elephant, the person sitting or laying with his head or stomach on the platform and be stepped by an elephant. An adult elephant could weigh as heavy as 5.000 kg on average. This method was used and popular in West and South Asia. Dismemberment is really painful where the person might die slowly. Dismemberment is a method of pulling, cutting, twisting, or removing limbs. 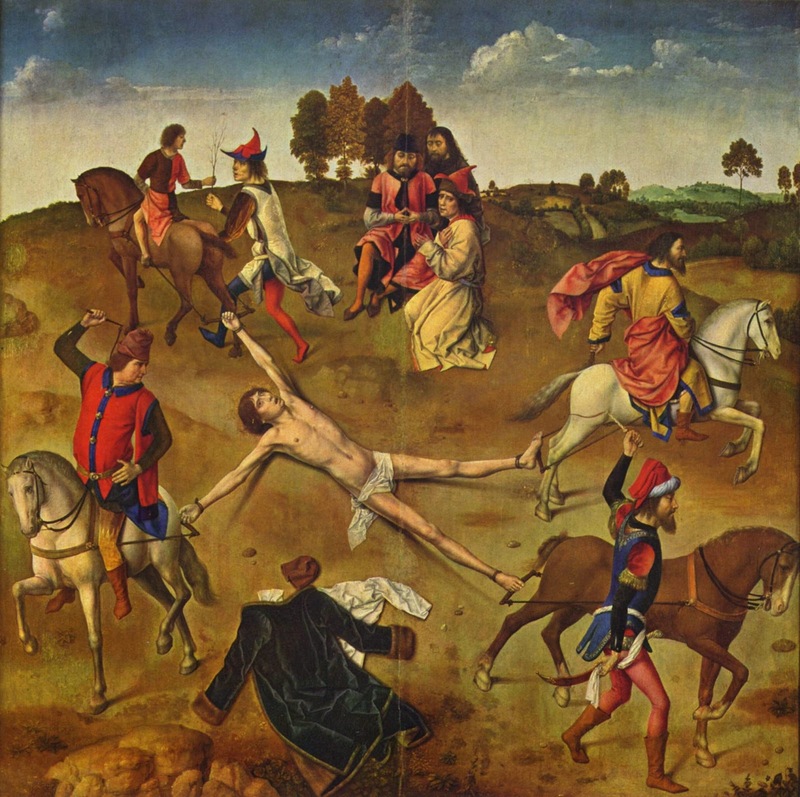 The most popular from this method is Torn Apart by Horse, each hand and foot of the person are tied to a horse then pulled in the same time as the horses start running together. Horses can be replaced by elephants, more painful. Disembowelment or evisceration is the act of organ removal, usually the bowels, through a deep cut on stomach. This method could be followed by the bowels being pulled out after the cut and letting the person alive suffering extreme pain. 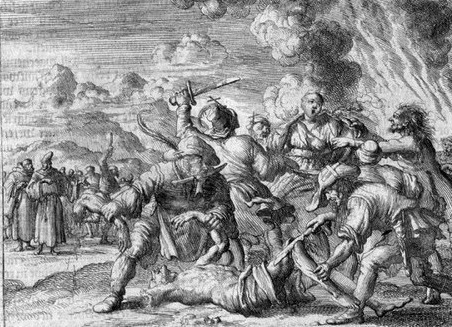 Impalement is the penetration method of a person by an object such as a stake or pole or spear using the body mass of that person himself. The person will be put from the top of the spear penetrating the bottom of the person and keep penetrating as the person's body is lowering through the pole by his own body mass. 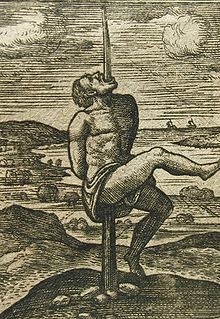 This method is likely to kill people instantly, but there were several occasions that persons survived for some days hanging with a spear penetrating their bottoms and came out from their throats. This method was used in Ancient Asia and Europe. Do you agree? Or which one do you think the scariest? No response yet to "Top 5 Scariest Death Punishment Methods"